Few know that one of the essential steps to shaving happens before you ever pick up a razor or apply shaving cream. If you’re experiencing frequent irritation, unsatisfying shaves or dry skin due to harsh shaves, pre-shave oil might have the answers you’re looking for. Pre-shave oil is a skin product normally applied before the shaving process begins. It generally precedes any shaving soaps, creams or gels. The product generally has a slick, oily texture that lubricates both the skin and razor, allowing the blade to glide effortlessly across the hair. In many ways, pre-shave oil functions much like traditional hair conditioners to smooth and soften hair. This not only makes for a softer, more touchable facial hair, it also makes bristles much easier to trim. Softer facial hair isn’t just easier to shave, it’s easier to shape and sculpt as well. 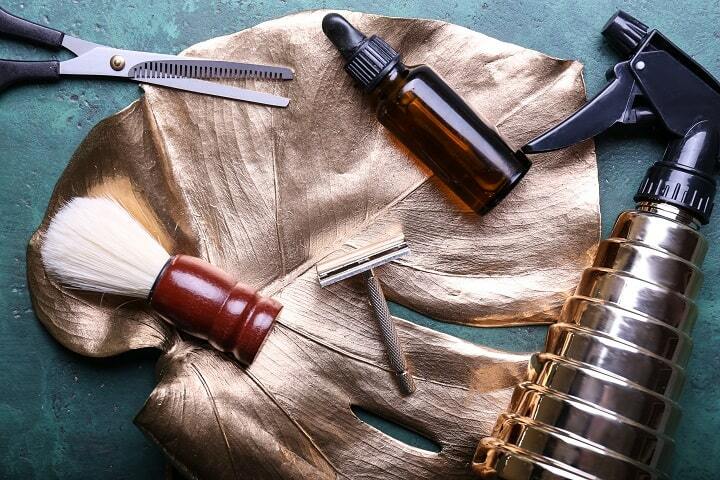 If you’re aiming to trim up existing facial hair using a pair of durable hair clippers or one of the best trimmers for stubble beards, using pre-shave oil can help make hair manageable and easier to cut. A pre-shave oil, however, is not to be confused with beard oil. While pre-shave oil does soften hair, it does so to make for an easier trim. Meanwhile, the best beard oil is for those wishing to keep and maintain a current, established beard. Dry skin damages more easily, ages quicker and can easily become uncomfortable. While there’s a myriad of influences on your skin’s overall hydration level, using a pre-shave oil is one measure that can help your facial skin from dying out. Besides lubricating the skin for hydration, some pre-shave oils also have additional vitamins or minerals which work to moisturize and repair dry skin. Using a pre-shave oil in conjunction with hydrating products such as one of the best face masks for moisturization or high-quality lotions can keep skin feeling fresh. Razor burn and other forms of skin irritation are caused when a blade drags along or tears at your skin. Pre-shave oil (along with selecting premium razors for sensitive skin) can help diminish the appearance of razor burn and bumps, by lubricating the skin’s surface and minimizing irritation. Those with especially sensitive, rash-prone skin will likely reap the biggest rewards from using a high-quality pre-shave oil before beginning their grooming routine. Pre-shave oil makes for a smoother, closer shave. When massaged into your facial hair roots, the ingredients of pre-shave oil work to lift the bristles of your beard upward, allowing the razor to get a closer, cleaner cut. Pre-shave oil also makes for a smoother shave by lubricating your skin, allowing the razor’s edge to glide across the surface seamlessly, cutting hair extremely close to the root. Pre-shave oil can be used on your head, face or body. Regardless of location, the product functions the same. Pre-shave oil helps prime the skin for the shaving process. By implementing natural oils, it creates an extra layer of lubrication. This extra lubrication allows the razor’s blade (whether it is a safety razor, shavette razor or any variation of disposable razors) to glide effortlessly over the skin, reducing the occurrence of irritation or razor burn. Pre-shave oil also makes for a closer shave. Because it softens hairs and bristles them upwards, the razor blade is able to get a closer, cleaner cut, making for an overall smoother shave. While ingredients will vary from one product to the next, all quality pre-shave oils will include some variation of the same three basic ingredients: carrier oils, essential oils and vitamin oils. As always, you’ll want to look for products that are all-natural and organic. These should make up the majority of the product’s ingredients. A few great, all-natural carrier oils to look for include jojoba oil, argan oil and grapeseed oil. Often associated with their natural fragrances, essential oils vary greatly in their purposes and benefits. One common essential oil found in men’s products is sandalwood, which is a popular antiseptic and is known to rejuvenate skin. Other popular oils may include eucalyptus, lavender, lemon, clove and peppermint. While carrier oils and vitamin oils are mandatory, essential oils are added bonuses which usually add a pleasant scent or soothing effects. Vitamin E is one of the most common, beneficial vitamin oil that frequently appears in pre-shave oils. Among its many benefits, it works to ease inflammation and repair damaged skin. It’s also one of the top sources of pre-shave oil’s lubricating properties. The market is unfortunately flooded with low-quality, damaging pre-shave products. To be sure you’re selecting an oil that will help and not hurt, you’ll need to consult the product’s label. Steer clear of products with unnecessary chemicals. Oils with synthetic ingredients or unnecessary ingredients might provide initial hydration, but strip your skin of its ability to naturally balance oils in the long run. While it can be hard to recognize the harmful ingredients from the helpful ones, a good rule of thumb is to stay away from any ingredients ending in “-cone” as this usually indicates chemically-based ingredients. If you can’t find a full ingredients list on the bottle of pre-shave oil, it’s recommended that you refrain from purchasing it. Products with high-quality, beneficial ingredients will have nothing to hide and proudly boast their contents on the label. Just as the name implies, pre-shave oil is applied before the shaving process begins. For a premium shaving experience, you’ll want to start your grooming process after washing your face using a quality face cleansing product to rinse away grime and ready your pores for your pre-shave product. Place a few conservative drops of product into your hand. Remember, when it comes to pre-shave oil, a little goes a long way. A small bottle of the product will likely last you months, even with regular use, so go light. Before you apply the oil to your face, body, head or other intended location, you’ll want to rub it vigorously into your hands. Then, massage the oil onto the desired area, making sure to rub all the way to the hair’s roots. For optimum performance, allow the oil to soak into the hair for one or two minutes. This gives it time to fully penetrate the bristles, making hair softer and easier to trim. While you’re waiting for the oil to do its thing, wash the excess product from your hands. This is where high-quality oil comes in handy. While a premium product will wash easily off fingers and palms, a cheap pre-shave oil becomes greasy and hard to rinse. The next step is most often to apply a shaving gel, cream, soap or foam. If you’re after the perfect wet shave, you might consider employing the help of one of the best shaving brushes to apply your shaving product, which helps lift facial hair for a closer shave. After the product is applied, pick up your preferred razor and shave as per normal, enjoying a closer, smoother cut and feel. Afterward, you’ll want to apply a quality aftershave lotion or other finishing product to put the perfect final touch on your fresh and rejuvenated face. If you’ve nicked or cut yourself at all during the shaving process, you may want to use an alum block or styptic pencil to reduce chances of infection. As the name implies, pre-shave oil is intended to be used before the shaving process begins. If you commonly experience irritated or razor-burned skin, it’s clear your shaving lubricant isn’t quite doing the trick. For those individuals, pre-shave oil adds a bit of comfort and ease to the shaving process. While some outliers do prefer to use pre-shave oil and skip other lubricating products, it’s more commonly accepted as a predecessor to shaving creams and soaps, not a replacement. This means you never have to choose between pre-shave oil and shaving gel, cream, soap or foam. But don’t make the mistake of mixing them up because each product serves its own function in a certain, specific way. 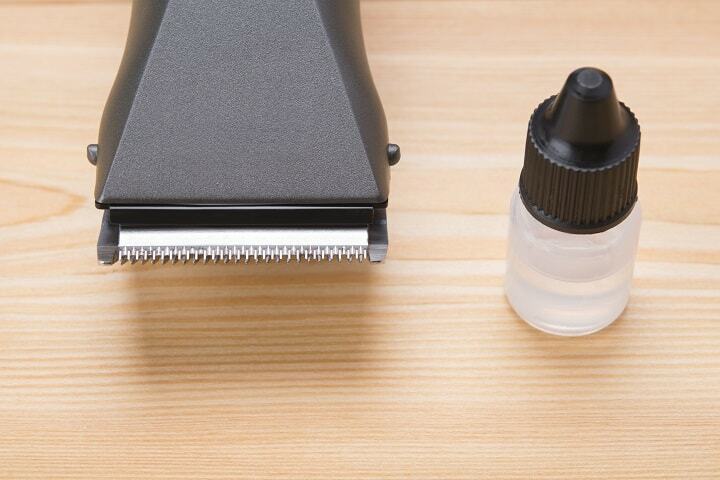 A gel is the only latherless shaving lubrication method. It trades in a thick, buffering consistency for smooth and simple efficiency. Because it’s extra sleek and extra slippery, it’s a common go-to for those with sensitive skin. Like pre-shave oil, gel products focus on accommodating sensitive skin by optimizing lubrication. Gel also commonly includes aloe vera or some other moisturizing agent, making it a popular choice for those with dry skin. For those with especially dry or easily irritated skin, a shaving gel paired with a hydrating pre-shave oil can be the perfect recipe for a pain-free shave. Shaving cream uses a full, rich lather to serve as a cushion between the razor and the skin. Frequently applied with a brush, shaving cream takes a bit more effort than foams or gels and can be a bit more difficult to find in the store. Like pre-shave oil, shaving cream aims to lift hairs from their base, making it easier for the blade to access them. As with pre-shave oils, a small amount of shaving cream can usually go a long way. However, the nature of the ingredients of shaving cream makes typically both more expensive and harder to find. One of the major pros of using shaving cream is that it’s comparatively easy to rinse off after use. While some pre-shave oils may be difficult to remove entirely, shaving creams generally wash off with ease. When it comes to a traditional shave, shaving soap is the classic choice. It’s been around for ages and delivers a rich, full shaving experience that shaving soap advocates swear is unparalleled by other lubricating products. The luxury it delivers doesn’t come without a price, however. While products like gel, foam and pre-shave oil can be applied straight out with no fuss and little preparation, shaving soap takes time and patience to set up. To start using shaving soap, you’ll need a brush, a mug and the right touch to whip up that perfect lather. For some, the process is worth the reward. For others, another lubricating product is better. Not to be confused with shaving cream, shave foam generally comes packaged in an aerosol can and is currently the most commonly used shaving lubricant. Because it can be applied immediately, requires zero preparation and is incredibly affordable, it’s the number one choice for low-maintenance men who prioritize efficiency over luxury. While it’s quick and convenient, its ingredients are rarely high in quality. 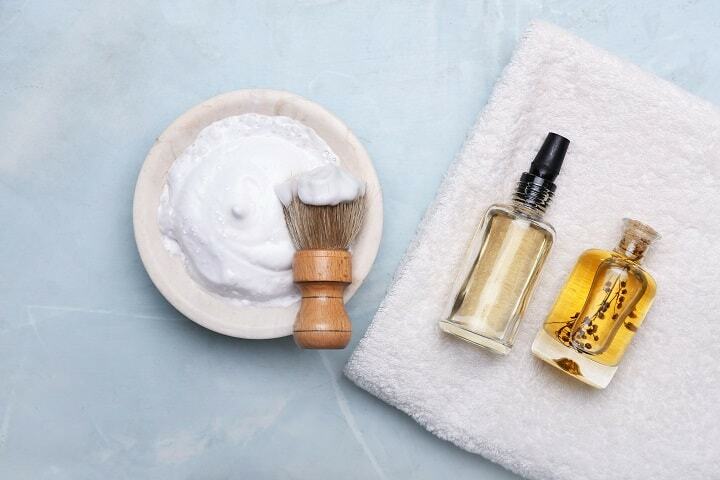 While pre-shave oils generally have all-natural carrier oil bases which may also contain essential oils for natural fragrance, shaving foam will often contain many synthetic ingredients and chemicals. Among other potentially harmful ingredients, shaving foam has been known to include parabens, which have been linked to the disruption of the endocrine system and even cancer. While shaving foam’s ingredients are generally more questionable than those of cream, pre-shave oil or shave soap, they are extremely convenient. Additionally, they can be used with any type of razor, making them a prime choice for versatility. For most, choosing the best pre-shave oil will come down to the same major elements: the products, ingredients, price and overall performance. The best pre-shave oils include all-natural, non-synthetic ingredients. Avoid any products containing ingredients ending in “-cone” as this generally indicates the presence of potentially harmful synthetic materials. On the other hand, quality pre-shave products will include a blend of carrier oils, vitamin oils and essential oils. A few specific ingredients to look for include grapeseed oil, vitamin E and sandalwood oil. Shave oil can run anywhere from $10 to $50 depending on the product you select. 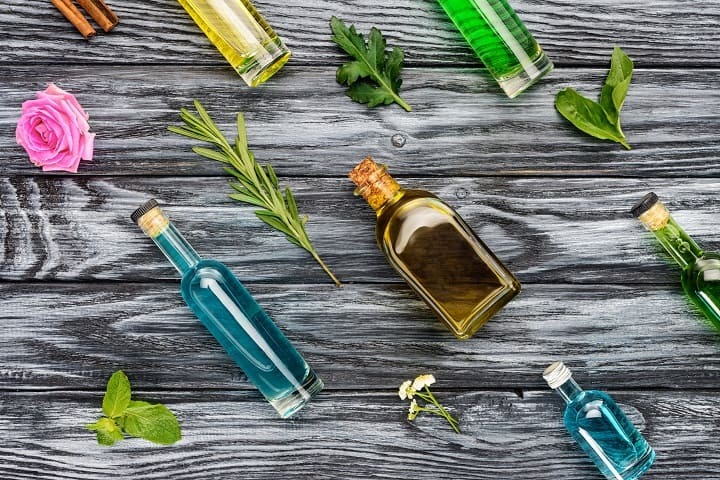 While you don’t have to go with the priciest oil on the market to get positive results, it’s good to keep in mind that price and quality of ingredients are often related. The most affordable pre-shave oil will likely have preservatives, synthetic materials, artificial fragrances and other ingredients you should stay clear away from. The good news is that if you’re after a middle-of-the-line product with mostly natural ingredients that won’t dry out your skin or disrupt the balance of your natural oils, you do have many options and you don’t have to break the bank to buy a high-performing product. The overall performance of a pre-shave oil is measured by its ability to lubricate the skin, allowing for a closer, higher-quality shave. Nothing is peskier than a pre-shave oil that clings to your hands and refuses to wash off. Lower-quality products cling to skin, leaving behind a greasy surface. As an added bonus, the best products leave behind a finishing scent and fresh, hydrated skin. Can you apply pre-shave oil on your head or body? While pre-shave oil is most commonly associated with the face, it can definitely be used on the head and body. In fact, it can be used anywhere because the product helps to lift hairs from the skin for a closer, smoother cut. To fully optimize your head shave, you’ll want to invest also in one of the best razors for head shaving. Does pre-shave oil cause acne? Products with lower-quality ingredients may be difficult to rinse off, leaving behind a greasy residue that can clog pores and cause acne. If you select a pre-shave product with all-natural, quality ingredients, the oil will rinse effortlessly off the skin before shaving. In this way, if you stick to natural pre-shave oils, they’ll work to improve your complexion and overall skin health rather than harming it. Can coconut oils be used as pre-shave oil? For the ultra-minimalist, coconut oil can be used as a pre-shave oil. Many swear by using coconut oil in their shaving routine, claiming it helps moisturize skin and prevent irritation. As an added, bonus, you can be sure that it’s 100% natural and has no potentially harmful synthetic ingredients. Because it comes in such high volume at such a low price, it’s also one of the cheapest options when it comes to pre-shave lubricants. When it comes to the grooming process, pre-shave oil (along with items like a men’s manicure set and high-quality face lotion) are helpful products that frequently fall through the cracks. For some men, shaving lubricants like shaving cream, soap, foam or gel work well to stop skin irritation before it starts. For those with especially sensitive skin (or men looking for an extra-close shave), pre-shave oil is the perfect addition to your shaving routine. Among its many benefits, it softens hair, hydrates skin and allows for a closer, smoother shave. Photos from: serezniy / depositphotos.com, AgaveStudio / depositphotos.com, VadimVasenin / depositphotos.com and kurgu128.mail.ru / depositphotos.com.